What is Locally Grown? 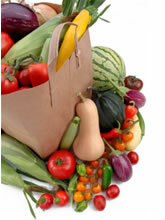 Locally grown usually means seasonal foods from small farms within 100-250 miles. Generally, it is food grown within a day's leisurely drive from your home such as a trip from Raleigh or Cary, NC to our farm in Willow Springs, NC. What is Organic? 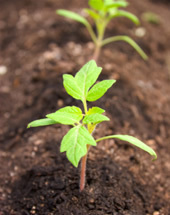 To be considered organic, plant foods cannot be subjected to any synthetic fertilizers or chemicals, such as pesticides. Further, the land on which these foods are grown must receive certification as organic. Genetic modification and irradiation are not permitted. Whichever you choose, produce is vital to your health so eat plenty of it. When making your choice, remember that local	produce	from our farm market is super fresh and delicious... and it is nutrient dense. Foods from your grocery store (even if organic) may have spent days or even weeks in transit, ultimately reducing healthful nutrients. Our produce is picked fresh daily. Porter Farms and Nursery employs integrative pest management. We occasionally will have to use pesticides if the delicate balance of beneficial insects and harmful pests is upset. Rest assured that we do so in a conscientious and conservative manner so as to have as little environmental and financial impact as possible. At Porter Farms and Nursery you'll find southern gentlemen that love to farm this North Carolina land and some country girls that ain’t afraid of a little hard work. 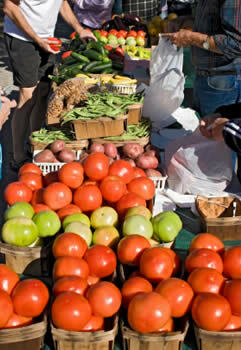 Porter Farms began retail operations at the Raleigh Farmer's Market in 1997. We sold our natural and fresh foods exclusively at the Raleigh Farmers Market as we grew our family business from 1997 to 2001. In the summer of 2001, we opened the Farm Market on Hwy 42 in Willow Springs and continued to sell at both locations. In response to our loyal customers, 2004 marked the year we focused our spring and summer efforts at our roadside stand. We continue to sell at both locations during the fall. 2008 brings an exciting expansion for Porter Farms. We will open our first satellite strawberry stand at the corner of Hwy Ten-Ten and Lake Wheeler road in Raleigh in early spring. This gorgeous farm will feature over 5 acres of pick your own and pre-picked strawberries. Look for the big red and white tent and the Porter Farms sign and start Picking! We have devoted customers who, after experiencing our super sweet corn and vine ripened specialty tomatoes, decided they would never again plant their own gardens. Instead they prefer to leave the growing and tending to our expertise. They testify that their summers are now void of sweat, but full of sweet! Buying your produce and plants from our farm market allows you to ensure more of your grocery money goes to the actual farmer. And, knowing where your food comes from and how it is grown enables you to choose safe food from farmers who avoid or reduce their use of environmentally harmful practices. Your support of our family farm will help us continue to thrive and deliver healthy, flavorful, plentiful food for future generations. Drought Conditions Slash Pumpkin Crops. "...there are still good pumpkins to pick from and people are driving the distance to do so" (10-04-2007). Watch Video or Read Story. Produce Stands Offer Farmers Opportunities. "'Zuccini, cucumbers, different varieties of tomatoes... It’s all fresh', ... The tables are filled with baskets, overflowing with bright vegetables" (07-18-2007). Watch Video or Read Story. Roadside produce stands offer alternative of Agriculture. "'Our stuff is fresh,' she explained. 'We grow it ourselves, we pick it that morning. We were picking in the rain this morning ...to make sure our customers had something good...'" (07-06-2006). Watch Video or Read Story. "Porter estimated that the pumpkin weighs 225 pounds. He will be taking it to a contest at the State Farmer's Market today" (10-06-2005). Note: Porter Farms won first place at the 21st annual Great Pumpkin Contest at the North Carolina Farmers Market. "Farmer Ashley Porter and his wife Crissy were recently given the honor of being visited by Commissioner Steve Troxler, NC Department of Agriculture. Troxler presented the owners with a 'Certified Roadside Farm Market' sign on June 28" (07-14-2005). "To be eligible for the program, farmers must grow at least 51 percent of the commodities they sell... Often large stands rely on outside growers; however the Porters grow 75 acres of their own fruits and vegetables" (07-13-2005). "The luscious berries are plentiful at Porter Farms & Nursery in Willow Spring where employees say every day since mid-April has been busy with customers scurrying to pick their own ripe fruit from the 5-acre field" (05-17-2005). "Today, a new generation is measuring out a living one small basket at a time. Roadside produce stands - though they might look like old-fashioned enterprises - have become one of the hopes for farming's future" (05-12-2005). "This year, Porter Farms Inc. attended the festival for the first time, serving as the primary source of strawberries. Porter Farms set up two booths at the festival to better serve festival attendees" (04-26-2005). "... Ashley is expecting a healthy and early strawberry crop due to the time he spends covering and uncovering his patch to prevent damage from frost. This is good news to locals who enjoy the family fun of picking their own strawberries... " (04-07-2005). Notice: All press/media articles and images copyright respective © owners. ®, & ™ are trademarks of their respective companies and have no association with or make any endorsement of the products or services provided by Porter Farms & Nursery.